My name is Tamara. I am an Australian teacher living in Songkhla, Thailand. I started a rescue centre in 2012. My passion and mission is to vaccinate, sterilize, medicate, feed, adopt and love as many street dogs as possible. I have 13 dogs in my home and 20 dogs at my foster home and 43 dogs at my dog sanctuary. Once the dogs are healed and healthy, I strive to find forever families for them. 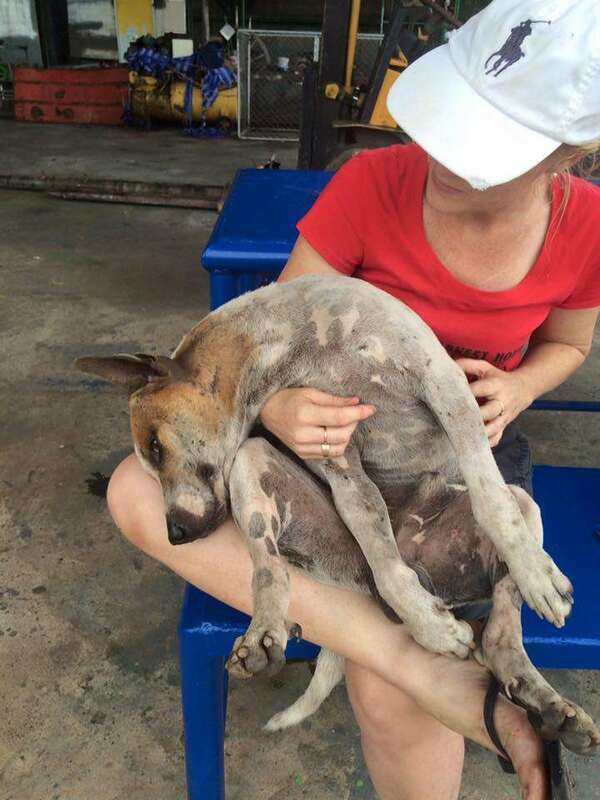 I also care for around 50 dogs on the streets, providing food and medical treatments. Four years ago, I made the big decision that my heart had been telling me to do for years. I sold or gave away most of my belongings, rented my house out, took leave from my teaching job and moved back to Thailand. I know I can't save every dog, but for every dog I save, that is one dog that is better off. My belief is one dog at a time. I hope you can help me help them. Volunteers will enjoy the small town culture, non touristy feel of Songkhla. Songkhla is a town surrounded by beaches and a lake. There are plenty of markets and food places to explore. Please respect the culture and dress appropriately. Volunteers will be exposed to the challenges and rewards that come along with rescuing animals. THIS IS A DOG RESCUE, NOT A DOGGY DAY CARE. Hugging and loving the dogs is part of it, but please read everything carefully!! You MUST LOVE DOGS. This is their house. If you are SCARED of dogs, this is NOT the place for you. You need to be flexible as urgent situations arise daily. Help 5 hours a day, 5 days a week. Your first and last days will be counted as days off. The hours a day might be over split shifts, not a block. Depends on the number of volunteers. If there are limited volunteers, you may be asked to work longer hours, which may include just hanging out at the foster home or dog sanctuary. Be prepared for ticks, mosquitoes and getting dirty. Have initiative, common sense and work without supervision are necessary. Be open minded and willing to take on new challenges. Willing to learn, listen and respect our rules. Learn about new cultures and experiences. Ideal for people with work ethic and looking for a career break / change. It is important that you stay for the time we agreed upon. Otherwise it leaves me in a difficult position and it is the dogs that are let down. This is not a place for a holiday, but working with the dogs. You will work hard, but it is very rewarding. If you are looking for a free place to stay, this is not it. This is Thailand. Electricity and water can often go out for hours or days on end. This is beyond MY control! You are free to explore in your free time of course. You will spend time between the foster home and our new sanctuary. 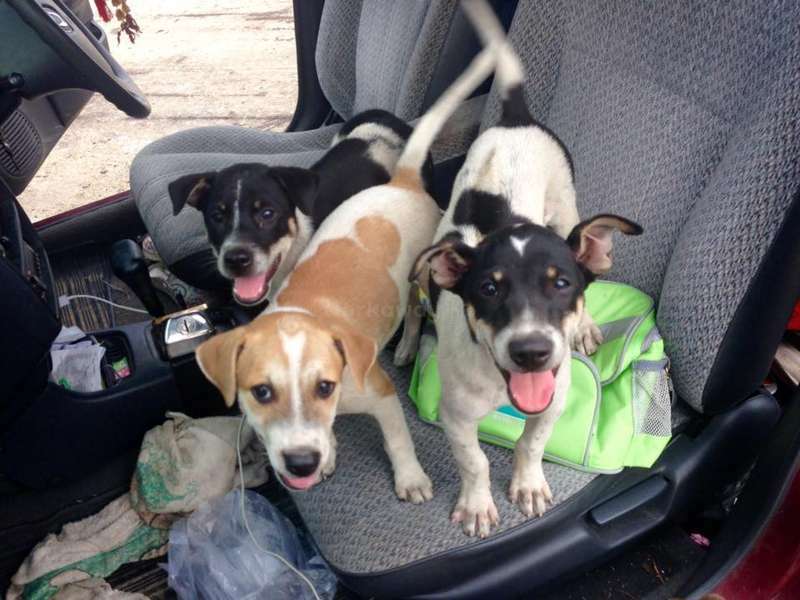 The foster home is located in Songkhla town and the sanctuary is located about 20 minutes away. PLEASE READ THIS VERY, VERY CAREFULLY. THIS IS NOT A WESTERN COUNTRY, IT IS THAILAND AND FACILITIES, SERVICES AND ACCOMMODATION ARE VERY BASIC. WE ARE NOT LIKE A RESCUE CENTRE IN THE WEST. WE DO OUR VERY BEST THAT WE CAN FOR EACH AND EVERY DOG. PLEASE DON'T COME HERE WITH THE MINDSET THAT THINGS ARE PERFECT, THEY AREN'T. WE HAVE LIMITED SPACE, TOO MANY DOGS AND NOT ENOUGH FUNDING. Please respect the rules and routines that we have in place, they are there for a reason. You may disagree with some of my decisions, but please remember you are here to help, not change current practices. All the dogs in my care are in much better places now, than where they previously were. You will likely be here for a short period of time and maybe feel like you aren't really contributing to the dogs, but believe me, you will be in some way. Please understand that I am doing the very best that I can with what I have. It isn't perfect, but then nothing in this world is. I can assure you these dogs are much better off where they are now, rather than on the streets being abused, killed or even eaten. You can make a difference to their lives, if you just jump in and focus on the dogs, rather than criticising what we don't have or do. BASIC room with mattress, sheets, pillow, fan and bathroom connected to your room but shared with another room. Cold water shower. BASIC room or bamboo hut with mattress, sheets, pillow and fan. Shared bathroom with cold water shower. Please keep your room, bathroom and kitchen area tidy. Electricity is very expensive in Thailand, so please ensure fans and lights are switched off when not in use. There is a basic kitchen with a rice cooker, cooker, fridge and kettle. We DO NOT have WIFI, but there are cafes close by that do. I will only reply to messages that have "I love dogs" in the subject box. Songkhla is a beautiful and charming city by the beach. There are many great shops, restaurants and coffee shops just walking distance from my home and the foster home. It is an amazing opportunity to be a real and useful help for dogs because there is a lot to do! And they will answer you with unconditional love. Also it‘s a really non turistic side of Thailand so you can feel like a normal person. If you come here it would be good if your focus are the dogs because otherwise you probably won‘t fit so perfect… read more in the project. But if you just want to help and be kissed by many dogs this is the perfect place. It‘s mainly about feeding them, walking them, keeping their areas clean and also giving them much love. It‘s really beautiful to discover their different peronalities! This place is now very near to my heart with it‘s absolutely dedicated people and crazy dogs. 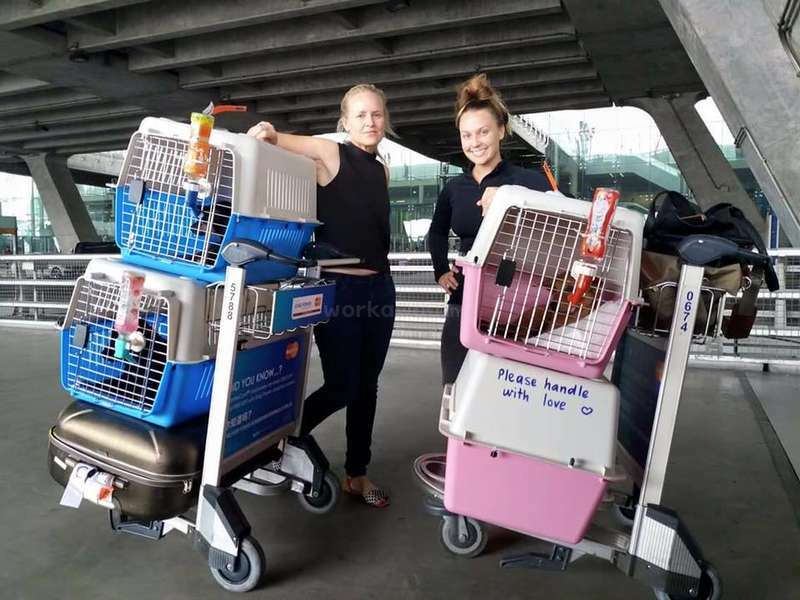 Thanks Tamara and Emma for taking care of these fantastic dogs! They both put in all of their effort to help the dogs and give them a wonderful life. Tamara is always busy and the priority is the dogs. She is there for you to help or anwser any of your questions. She really tries to give volunteers the basics (that's all I needed), but don't… read more expect any luxary. There is simply not enough money to spent. Emma is a very hard working person I admire how she is doing this every single day. She is honest and kind. While she is working many hours a day, she immedatly told me she doesn't expect me to do the same. The first day when I left, I already missed the dogs. All the dogs are so happy to see you and love to get attention. In free time I really enjoyed cuddling the dogs and go to the market, which is very close. I've been volunteering for two weeks. The first days were almost fulltime working, because of NYE and a storm, that luckily didn't caused to much damage. The first week was a little chaotic. The second week was totaly structured and well organized! Emma gave me a few days off to make up from the week before. I would not suggest to go here if you just like dogs, you really have to love them! I was intending to stay here at the sanctuary for 3 weeks 7 weeks later I was sadly leaving. It's rewarding and a privilege to be able care for and help these wonderful dogs. Tammara's passion for the project is incredible. She always has a 100 things to do and they all revolve around the dogs welfare. I don't know how you do it all!! The accommodation is basic but comfortable. There's a 7/11 across the road and a great market 5 minutes away. If you come here the dogs should be your PRIORITY. Work as a team and help out where ever possible and you will have an amazing time. If you just want free accommodation for the minimum amount of work and effort, you probably won't fit in or enjoy you stay. Overall I give the experience 6 stars out of 5. It was our first workaway experience and we had a wonderful time at the shelter. We still miss all these beautiful dogs and we would recommend this workaway to everyone who loves dogs. Feedingtime can be a bit crazy but you'll get used to it. The rest of the time is just helping with daily work and give all your love to the dogs :-) Thanks Tamara… read more and Claire for your great work! The best workaway experience ever. 3 weeks passed since we left the shelter. And we still miss our 20 dogs. Hope we'll come back and will give them our love and care again. I didn't find the work to be hard: feeding, cleaning, cooking. All the rest time just enjoying the company of lovely doggies: cuddling, playing. Pretty much everything has been said. Amazing project, actually working to help a real situation. Here are some things to keep in mind if you get to come here. The living conditions are pretty gross if you’re used to clean living situations. There is a decent shower, but the main living area and bathroom are filthy. This makes sense as the… read more project is run by part time volunteering and has only been operating for 3 months or so in this location, but it’s important to keep in mind before arrival. Emma (the longer term volunteer who is taking care of the land) is really hard working and expects you to be as well. Which is inspiring. Make sure to put in the work!! That said, it took me about 3 days to actually figure out what to be doing, luckily another volunteer (Craig) pitched an idea to build a fence that we were able to complete during my 2 week stay. So you may need to give a few ideas on how you can help if nothing is going on when you arrive. Overall an eye opening experience, with some nice memories. What an unforgettable and fulfilling experience. We volunteered here with Tamara for two weeks, at both the foster home and at the land. Working with and caring for the dogs was such a rewarding experience and we would definitely recommend it. It does take a little adjusting to but once you get stuck into it you won’t want to leave. I would say,… read more don’t do it unless you absolutely love dogs. If you are at all afraid or uncomfortable around them, then this is not for you. I spend two weeks at the land with the dogs. I had such a great time. It took me a couple days to get used to everything but after that I enjoyed every moment of it. Don't expect things to be easy over there but the experience is worth so much more. The dogs give back so much love, I loved every minute I spent with them. I miss them, Tamara and… read more the other volunteers so much. I am definitely coming back asap! I had an amazing 2 weeks with Tamara. It's incredible what she has achieved for the dogs in very challenging circumstances, and I feel privileged to have been part of it, even for just a little while. DON'T expect to have your hand held here, Tamara herself has a huge amount to deal with, and needs help from pro-active, self-starting volunteers… read more who see what needs doing and get on and do it. DON'T expect Western standards - facilities are basic, and there are always more dogs than there is money or space to look after them. The dogs are street dogs, not (yet) pets, so be aware may have behavioural issues that are being worked on, so DON'T volunteer if you're not comfortable with dogs who may be difficult at times. DO expect to meet amazing people and become part of a fantastic team, and be rewarded for it all in 4-legged furry love! If you love dogs, and you want to make a real difference, this is a fantastic and immensely rewarding opportunity. 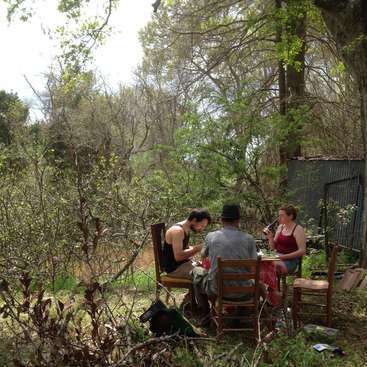 This was my first Workaway experience, and I can honestly say it was one of the best things I have ever done. This is a special place, a place where your help really matters and where you can feel useful and rewarded for your contribution. I stayed over 3 weeks and helped Tamara with the daily duties of looking after 40 dogs. They are kind, sweet,… read more funny, lovely not only the cute puppies. So be prepared to deal with a bunch of 40 happy and enthousiast fellas whom you are going to love. As I expected, the majority of the work was cleaning, and helping with little things around the shelter, and I really enjoyed it. It's very hard not to fall in love with the animals, but not only that, Tamara is one of the most loveliest, kind and compassionate women I have had the pleasure of getting to know. I formed a strong bond and I consider myself lucky I met her ! I was just amazing! We love to spend this time with the dogs. The project is amazing and Tamara is such a special person. She is truly one of the most amazing souls I have ever met . Tamaras entire life revolves around these dogs, and her dedication is something very admirable. The dogs are so cute!!! All we need is to thank you so much Tamara,… read more to receive us and for this awesome work with the dogs. I have recently spent 12 days volunteering here and the experience was AMAZING. 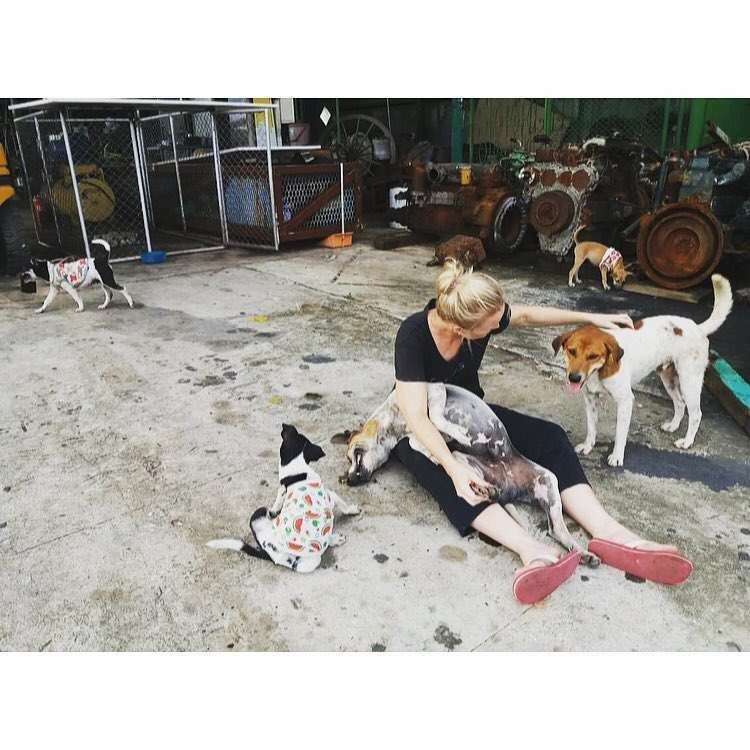 Tamara is doing amazing work for the street dogs in Songkhla. I wish I had of had more time to volunteer but I would come back in a heart beat and will if I have the time. Thanks for having me! And give all the dogs lots of hugs from me. Especially Baloo. He's the… read more greatest. i really liked my experience in the shelter! it was little bit crazy in the beginning but tamara and other volunteers were very friendly. dogs are very nice and they need so much love! Thank for all Tamara, Ped and Bee, We wish you the best. My stay in the shelter was amazing, I spend a really good time with the dogs, they are so cute! Songhkla is great, a lovely town, with good food and good places to spend your free time. I stayed in one of the foster home managed by Tamara and the locals volunteers, there was around 20 dogs. The place was very convenient, just beside a market place… read more and some convenient stores. The accomodation itself is quite basic, but it was okay for me. It's sometimes noisy during the night cause of the dogs who are barkeling (the shelter and the place you stay is the same). The most amazing thing was staying with lovely dogs and see the evolution in their behaviour, and trying to improve the routine in the shelter, and maintain the place. Tamara's job is really important in Songkhla as there's lots of streets dogs here... I feel so happy to had the possibility to help these dogs, I miss them so much! I hope all your great projects will realized as you wish Tamara, good luck! What an amazing experience. Tamara, you truly are one of the most amazing souls I have ever met . Tamaras entire life revolves around these dogs, and her dedicattion is something very admirable. As mentioned this is not like a western shelter or rescue, but after I saw how these dogs had previously lived on the streets, believe me, these dogs… read more have now have love in their life, food in their bellys and the medical care they need. I promise you, if you come into this work away with open arms and an open heart, you will leave with tears in your eyes and a very full heart from the love and compassion that each of these dogs show. I loved my time here so much that I will be going back in 2 months . we loved our week in the rescue shelter for those beautiful creatures.... we left the house in tears. it was an amazing help to give and so much to receive from them. Woke up in the morning and see all of them greeting you.. was just beautiful! Tamara's project is amazing, she is extremely determined and do everything she can to save those street dogs. Sometime they can be in very bad conditions, so you need to don't be afraid of that, and it can be tiring to always have many dogs around playing, but the experience definitely worth it and after some time you really get attach to the… read more dogs. I did a documentary video to help her, she is completely overwhelmed and needs more help!! you can watch the video to get a better idea of what's happen there. 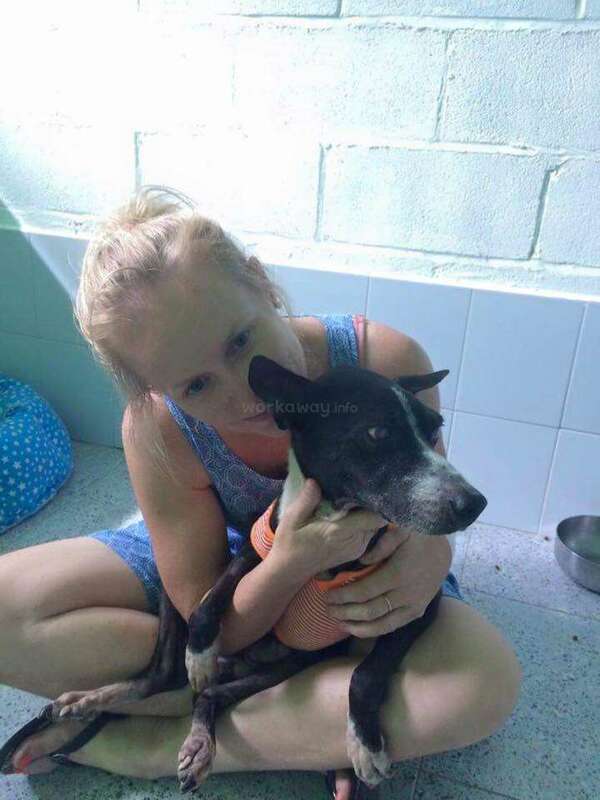 I will be forever greatful with Tamara and what she's doing, at the beginning it was a bit overwhelming (35 dogs jumping around you just wanting to get cuddles and say hi) but it was just the first day, it's easy to adapt with so much love from the dogs! It is true tho that you should only apply if you REALLY LOVE dogs, it's not an easy job and… read more not holidays, you'll have to clean poop, pee, and puppies' room, detick (twice a day in rainy season at least the young ones as they love to play in the garden) and give them a lot of love, it's so easy to fall in love with all of them! One of the things I most enjoyed was seeing the progress with the scared ones, there were only 3 between the 60 I got to be with that wouldn't let me cuddle at the end of my time there! It's hard to explain how rewarding was every minute with them. It was awesome meeting the other volunteers too, they all worked hard and love dogs so much💕💕 I'm definetly willing to go back again. FINALLY I've found some time to write my feedback for this amazing project! Where can I begin? There are just so many feelings when I think back to my time with Tamara and the dogs..
First of all, yes you do have TO LOVE DOGS to the moon and back, if not, then this workaway might be not for you. You live with the dogs 24/7 and you'll have to… read more take care of them. Your day will start with feeding the dogs (earlybird alert), then they will probably go back to sleep or chill and you'll have the time to clean the house (I always considered it as my morning exercise, think of all the delicious fried bananas you will eat!). Once that's done, my cuddling time started.. well I was always cuddling, because who doesn't love cuddles? During the cuddling I removed ticks from the dogs, doesn't sound so nice in the beginning, but I kind of learned to like it.. is that weird? Well anyways, after that you're free to do whatever you feel like doing.. play with the dogs, more cuddling, learn them how to walk on a leash.. simply socialise and love them. From time to time there will be some other tasks to do, fixing stuff, helping to move dogs, or whatever task Tamara has for you.. so stay open minded and flexible. This is not a western fosterhome, so please come with an open mind!! At first everything may be a little overwhelming, but trust me you'll get used to it and in the end you'll understand why things have to be done in a certain way. Tamara is a hard worker and dedicates all her time, energy and love in this project, never seen a person so dedicated to something! The dogs really mean the world to her and they did mean the world to me too after almost a month staying with them. Some of them been through a lot, and still most of them love to be with humans, they just want to be around you and feel loved. For me this workaway was like therapy.. a time full of sweat (it's freaking hot down there), cuddles, licks and so much unconditional love from each and every dog. Miss you all so much and can't wait to be back and thank you for this amazing experience!! Big hugs and kisses to you Tamara and my lovely Poopheads! I absolutely loved volunteering with the dogs and I wish I could have stayed longer. Tamara is an amazing lady and she is doing an incredible job rescuing and caring for the street dogs. I fell in love with all of the dogs and I was so sad to leave them. The dogs are so sweet natured and the best part of staying here was just hanging out with them… read more and giving them lots of cuddles. I would really recommend volunteering here. It was a great experience and I would love to come again! Tamara is truly amazing and so is the work she does with the dogs. Please read the full description and don't let her down, after spending a month out there with her and the dogs I got to see all the hard work she puts in and she deserves the world and the best volunteers. Plus all the dogs are adorable. Highly recommend. She didn't let me know and ignored my messages without responding! You let the other volunteers and the dogs down. The dogs are just wonderful. In the shelter are also two female cats- very sweet, cute and gentle. All the animals have unique personality, some of them are shy, others very energetic but all of them are very affectionate, lovely and friendly. I simply fell in love with them. It was my first workaway experience and it couldn’t be a better… read more choice. I didn’t make only furry friends, I also met there many incredible people, who I hope, will stay my friends for very long time. 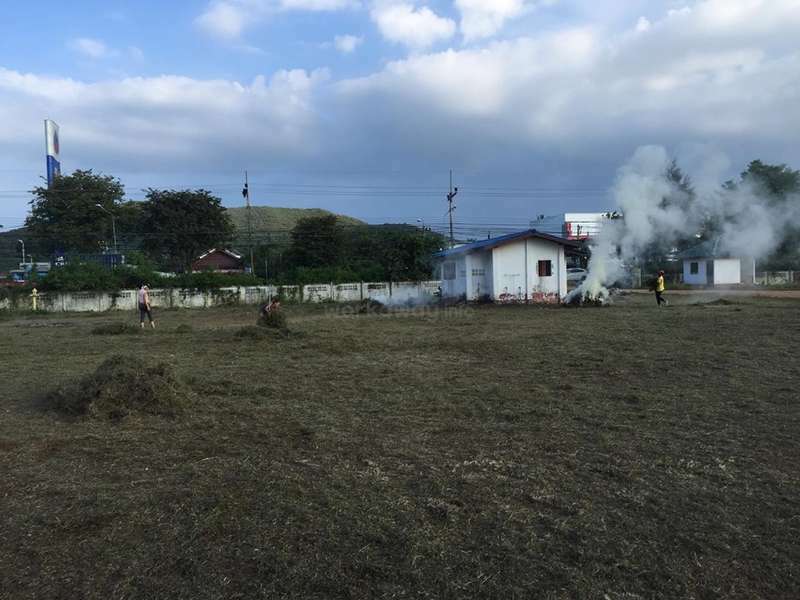 The work in the shelter was not difficult or hard, everyone cleaned dogs poops and pee but this task didn’t take too much time and was easy. Most of the time I made sure that dogs and cats were happy and healthy, I cuddled and played with them, showered and deticked them. All volunteers did shift work, the first shift was starting in the morning and the second in the afternoon, in the mornings and the evenings everyone helped to feed the dogs. I had my own room with balcony, very nice. I had two days off a week, which gave me plenty of free time to explore Songkhla, a small costal town, still untouched from commercial tourism. I went to the beach, which is a walking distance away from the shelter and to the old town. Songkhla is a great place to enjoy Thai food, sometimes I also cooked for myself, a local market with all kinds of vegetables and fruit is just one block away from the shelter, a perfect place for vegetarians. I stayed in the shelter for three weeks in September and I will be back there soon. 2) Are you prepared to do some hard work in return for a million licks 👅 and cuddles 🤗 and off course more love ❤️ from the dogs then you could ever expect ? If your answer is yes, then definitely go and volunteer at… read more this amazing place ! Tamara's project is amazing and admirable but also of a big size so they can always use an extra pair of hands ! I still miss those amazing dogs every day and I am definitely going back as soon as I get the chance ! Next time for longer as I could only stay for 2,5 weeks now. Don't hesitate and just go ! They are waiting for you 😊.. I spent 6 weeks volunteering in this place and it was wonderful experience. Dogs are amazing and I'm grateful to get to know Tamara and some very dedicated volunteers as well. Must say that this job is not for everyone, you have to be prepared that it's impossible to have strict schedule, your tasks here depend on current situation with dogs so… read more you need to be flexible as always when you work with animals. For people who really love animals and are willing to adapt on changes it's really rewarding experience and you will have chance to learn a lot in quite short time but think about it before you commit yourself to come...some people came and left within a days when they realised it's not just about playing and cuddleing with dogs. For those who don't mind getting dirty and really work, I'm sure you will have strongly possitive experience. Thank Tamara for everything! I stayed in Songkhla about 3 weeks in January/February 2017, working here. Tamara is the most inspiring, passionate, driven and big hearted person I've ever been around! She sacrifices everything for these dogs and the local community - without any help from the government. 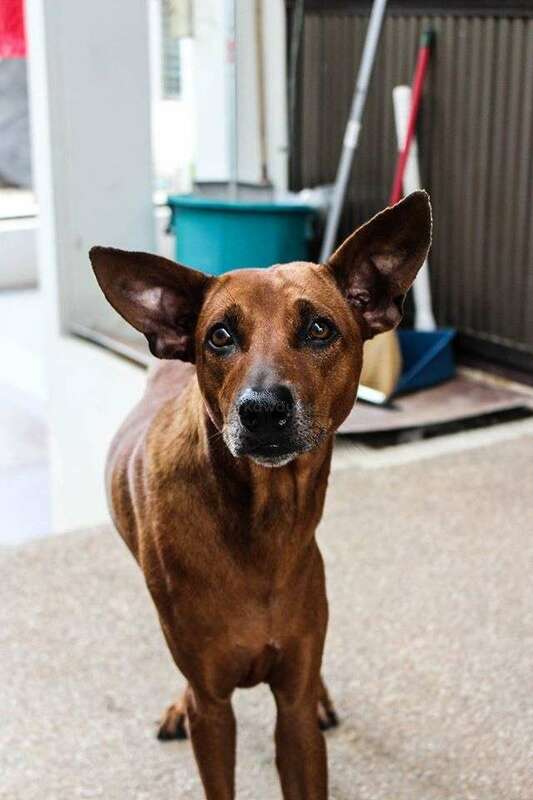 Numerous street dogs has been saved and adopted as a result from her… read more work, and Tamara keeps on fighting - EVERY SINGLE DAY - to keep this operation going. Donations, exposure on social media and open-minded volunteers does help with just that. I say "open-minded" because there is no way you can really prepare for this experience, and in some cases, volunteers show up with too high expectations (read the description carefully!). I guarantee a very rewarding volunteering experience if you love dogs, like to challenge yourself, can cooperate and are willing to do what's necessary! For me, staying here was simply amazing! Getting showered with unconditional doggy-love every day; sharing fun moments with other volunteers; inspirational conversations with Tamara; handling all kinds of situations related to the street- and foster dogs, and taking time to read, reflect and ponder upon personal challenges truly amounted to a transformative experience for me (NO JOKE!). I would love to come back one day and I would love to see this place keep making changes. Thank you for everything, Tamara! Quite simply an amazing experience. Getting to help with 28 dogs in a foster home (and 2 cats!) was an experience I will cherish and never forget. Tamara does a wonderful and inspiring job in helping these dogs when no one else is willing to. She is very helpful and also very direct. Please remember this isn't a holiday you're here to help with… read more Tamara's project. 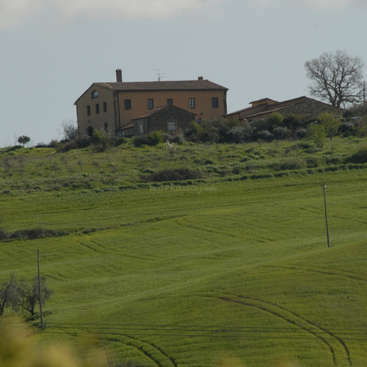 Accommodation is very basic and be prepared for early mornings to help with the days work. If you love animals though this should not be a problem! As another reviewer above said, saying goodbye to the dogs will be one of the hardest things you have to do, so be warned! I can't recommend this workaway highly enough. I really enjoyed my stay volunteering at both the dog foster home & Tamara's house. All the dogs with their individual characters, it was easy to fall in love with them & they were surprisingly friendly & loving too, considering how mistreated some had been prior to being rescued. This is a brilliant & worthy project, with Tamara running it as a… read more dedicated dog lover who holds a passion & vision for ensuring the dogs in songkhala are neutered, sterilised, vaccinated, cared for & eventually, where possible rehomed with adoption families. Living in the home with the dogs is part of what makes this place special, as this integration with humans & the love & care given by all those looking after them, helps prepare the dogs for life with new families. 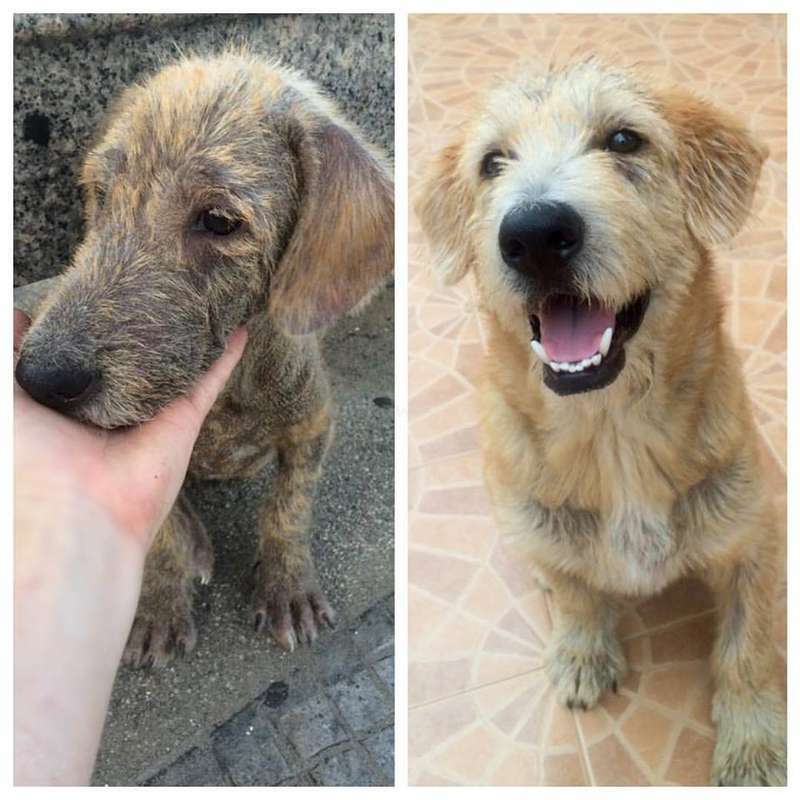 2 dogs were re-homed overseas during my stay there, which felt like a really happy ending. The work at times could be physical, with some longer working days if it was busy. I have joint & back problems (from 20 years of nursing), which made it more demanding for me, however all the volunteers work as a team & muck in together. 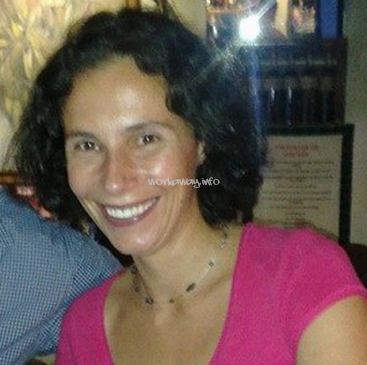 Tamara is also very approachable & understanding if adjustments are reqd to fit your needs. I met an amazing bunch of energetic dog loving people & hope to keep in touch. Keep up the good work ! If you love dogs this is the place to be. I fell in love with every single one of them. There were 14 dogs and 5 puppies at the shelter. They own the bottom floor and the volunteers the upper floor, so it's a very busy house. 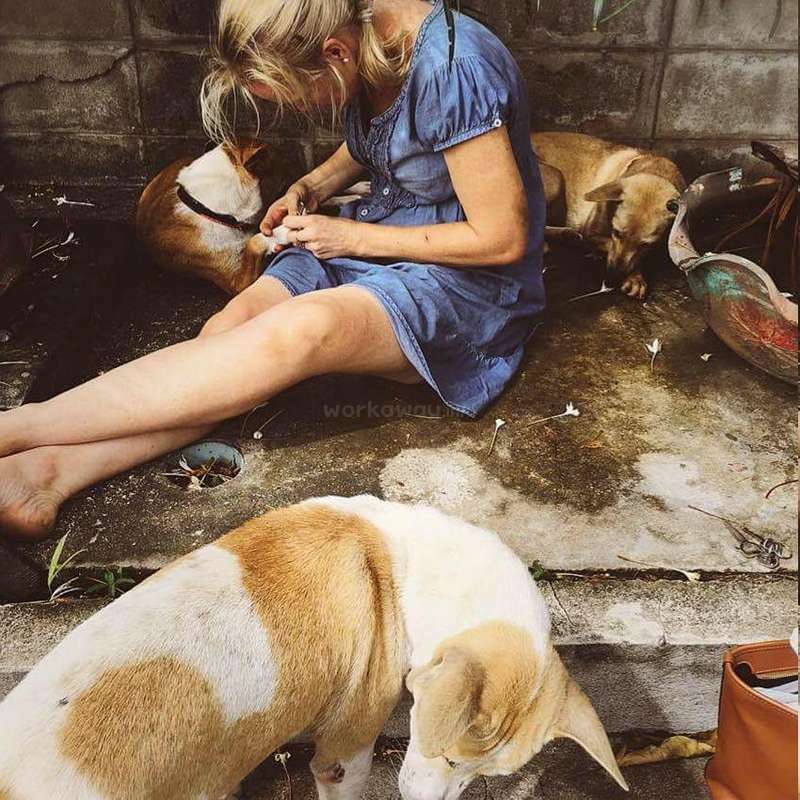 Besides the time, attention and love you have to give to the dogs you often go with Tamara to the street feeding rounds… read more during afternoon, also have to help cleaning their mess, cook their meals, brush them and look after them. The house/shelter is very simple, offering the basic necessary conditions. Prepare to cook or eat outside, there are no meals included. Songkhla, the city, is pure deep Thailand, there aren't many tourists, locals don't speak English and western way of life is not available. Which I thought it was perfect! 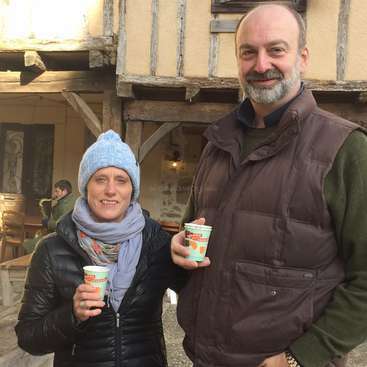 I cannot stress enough that you should read all of her workaway profile as there were some volunteers that turn up expecting a free place to stay and not much work. You are there for the dogs, not to save your own wallet. It's the dogs home and you will have to adapt to their routine, but that was never an issue for us, we loved it! A must do for dog lovers, but be warned... Leaving will be the hardest thing you have to do. It was an amazing experience. I spent a little bit more than 6 weeks in Songkhla and I enjoyed every day. 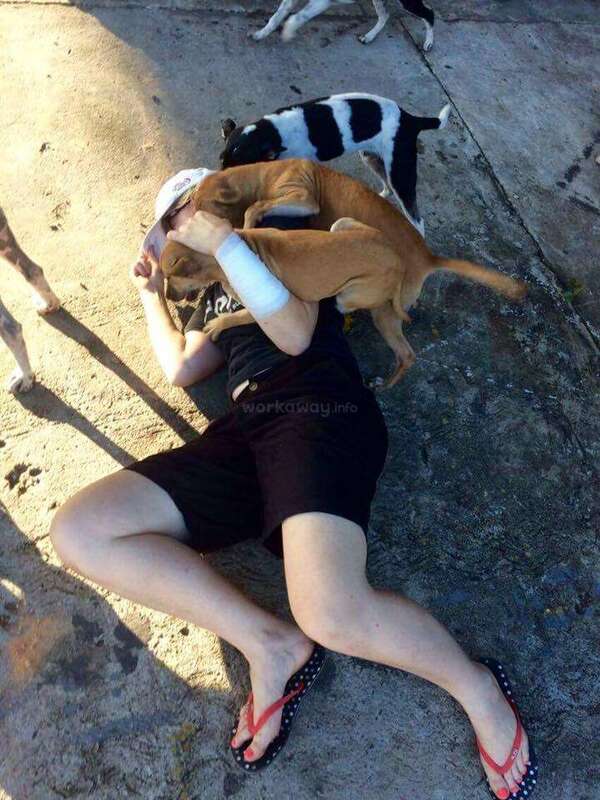 I stayed with the other volunteers, Pla (a thai helper), 19 dogs, 5 puppies and 2 cats at the foster home and took care about the animals. The work and accomodation is exactly as written in the profile. So please read it carefully before… read more you contact this host. For me the work and the home was perfect and I had everything I needed. To buy food that I couldn't buy at the shops near by, I had the chance to join Tamara when she went to a bigger supermarket in Hat Yai. She is very helpful and she changes the life of so many dogs every day. If you want to be always surrounded by dogs and you are not afraid of living really close with them, I recommend this host to you. It was so nice to see how dogs changed from shy and afraid to playful and happy, just because you give them your time and your love. Thank you Tamara for this wonderful time. I'm looking forward to April, when we meet again. Interesting experience hanging with the dogs, my wife and I were there for 1 week in mid January. 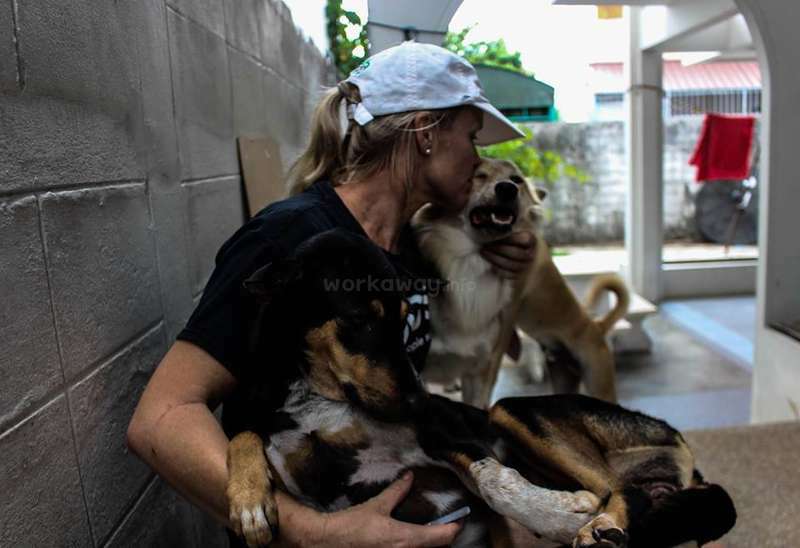 Tamara our host is dedicated to the dogs and we were amazed at the level of energy,care and resources she brought to them.With that said please give serious consideration to your time spent here volunteering;its intense, satisfying but NOT a… read more holiday. Pros: Lovely dogs at the foster home, my wife learnt alot about the pack and found the interactions very interesting[ Much thanks goes out to Martin Mckenna the dreadlock dog guy whose book on dogs she read as we volunteered].The caring volunteers who were there during our week thank you.Seeing the dogs respond positively over the course of the week as we interacted with them. Cons: Foster home is the Dogs home and its very basic with 4 bedrooms with 2 shared showers, some dogs sleep just outside the bedrooms and use the floors of the house for their bathrooms and spraying to mark their territories SO if you are sensitive allergic to strong doggy smells then I would think twice[ part of the problem is that the dogs are not taken for walks outside the compound for fear of being attacked by local dogs].Kitchen basic and found that fresh fruit in the nearby market was non existent[papayas, mangoes]also local restaurants mostly serving thai style meat dishes which we seldom eat so we hit the local seven eleven for tuna fish sandwiches and yogurt. Tamara, the owner of the dogs shelter is extremely helpful person, she will help you with anything she can although she has a lot to do by herself. 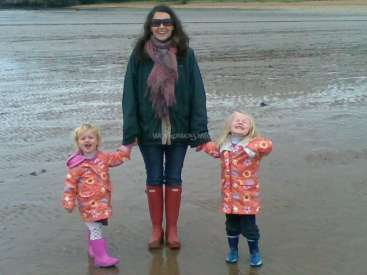 Everyday she has lots of new situations to deal with so any help for her is more than needed. Area of Songkhla is very chill, far away from touristy places, you can find a lot of cool places there and commute by the shared motorbike for all volunteers. 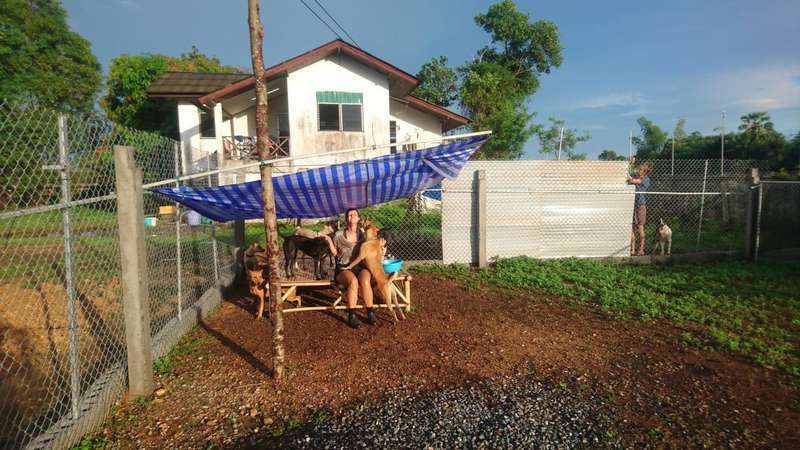 Tamara and Rose are wonderful people who are so dedicated to helping the street dogs of Songkhla. My boyfriend Drew and I spent most of our time at the foster home just hanging out with the dogs, which I think is so important for them to just receive love and human contact as much as possible so they can get ready to be adopted. We would have… read more loved to stay here longer, but we had plans to meet up with friends for xmas so we were only able to stay 5 days. I would love to come back and volunteer here any time. 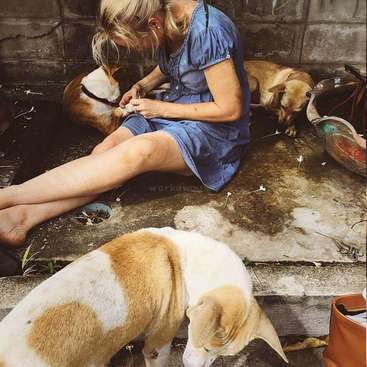 I would like to say though- if you are not TRULY a dog lover, this workaway may not be for you because 100% of your time is spent playing with them of feeding / helping the street dogs around town in some way. Of course you have free time to go out and get meals or whatever you need, but the whole point of volunteering here is so the dogs can get some love from some humans, and get used to spending time with people.